ISTANBUL (Reuters) - Turkey urged executives from Twitter (TWTR.N) to open an office and start paying Turkish tax on Monday in the first direct talks since a two-week ban imposed on the site as the government battled a corruption scandal. Prime Minister Tayyip Erdogan's government blocked Twitter and YouTube (GOOGL.O) in March, drawing international condemnation, after audio recordings, purportedly showing corruption in his inner circle, were leaked on their sites. The block was lifted 10 days ago after the constitutional court ruled that it breached freedom of expression, a decision Erdogan has since said was wrong and should be overturned. YouTube remains largely blocked in Turkey. The prime minister on Saturday accused Twitter of being a "tax evader", repeating his combative stance ahead of the talks between his government and the San Francisco-based company. "Twitter, YouTube, Facebook, these are international companies. They're companies established for profit," he said at the opening ceremony for a purification plant in Istanbul. "We will deal with them. They will come like every international company and comply with my country's constitution, laws and tax rules," CNN Turk reported Erdogan as saying. A senior Turkish official told Reuters that Twitter's head of global public policy, Colin Crowell, was holding two rounds of talks in Ankara with the aim of opening up a better channel of communication. He described the first meeting as "positive". "The aim is for the company to pay tax and to resolve the problem of meeting Turkey's just demands by opening a representative office here," he said. The government estimates that Twitter generates $35 million a year in advertising revenue in Turkey, none of it taxed by Ankara, he said. Access to the service was blocked on March 21 in the run-up to local elections to stem a stream of leaked wiretapped recordings. Erdogan said he would "root out" the network. Tech-savvy Turks quickly found workarounds, and the company itself published a tweet to Turkish users instructing them on how to continue tweeting via SMS text message. Because of its nature as a public, broadcast medium and its viral network model, where information can spread exponentially through "retweets," Twitter has been viewed as a particularly destabilizing force by some governments. The social media site was blocked for roughly four years in Iran following protests during its 2009 presidential election and has also been banned in China since 2009. Turkey said at the time of the ban that access would be restored if Twitter appointed a local representative, paid tax and agreed to block specific content when requested. Like many technology companies, Twitter uses a non-traditional but highly tax-efficient business structure. Its international headquarters are in Dublin but it also has offices in cities from Amsterdam and Paris to Rio de Janeiro and Seoul, according to its website, where staff market advertising services to mainly business customers. However, customers in countries like Turkey, Germany and Britain transact directly with the Dublin-based Twitter International Company, terms of business on its website show. Staff in subsidiaries in countries like Germany and Britain market the company’s advertising services to local customers and these subsidiaries are funded by payments from other Twitter companies, like Twitter International, their accounts show. This structure can ensure that Twitter subsidiaries in such countries report little profit and pay little tax. The Organization for Economic Cooperation and Development (OECD), which has been charged by the G20 with devising a blueprint to crack down on corporate tax avoidance, has criticized such structures, as have parliamentary investigations in the United States and Britain. 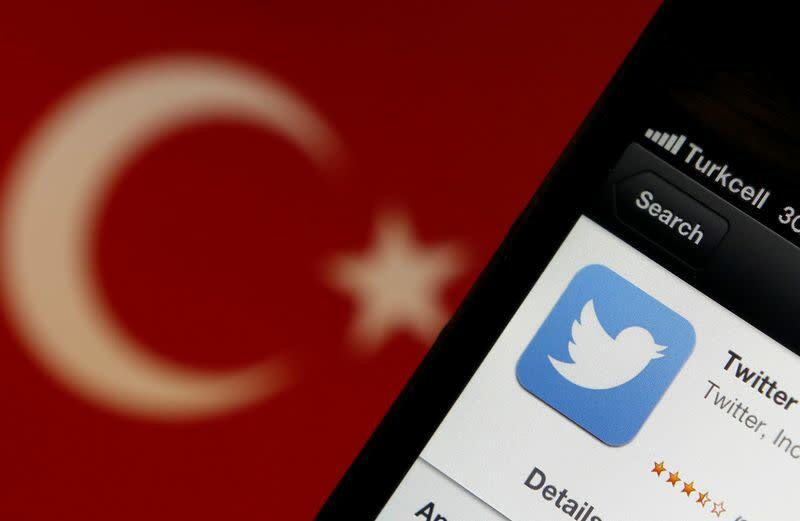 Turkey has also said it wants the removal of tweets which it considers harm national security, the privacy of individuals and personal rights, and wants Twitter to hand over the IP addresses of those accounts which it views as a threat. Last week the head of parliament's constitutional commission, Burhan Kuzu of Erdogan's ruling AK Party, applied to the constitutional court seeking a renewed block on access to Twitter on the grounds of a personal insult against him.